and Mrs. Sam Randozzo, decorations chairman. No. 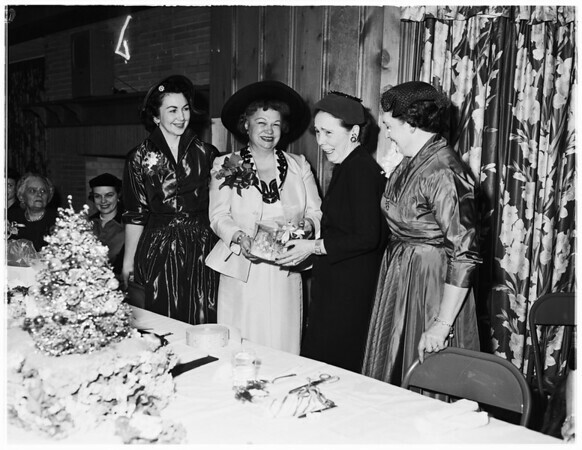 11 -- Mrs. Marko Katich, president, presents Mrs. Sam Randozzo gift for her work in decorating tables at luncheon of San Pedro Chamber of Commerce Women'a Auxiliary. Luncheon was held in banquet room of Assitance League, San Pedro".